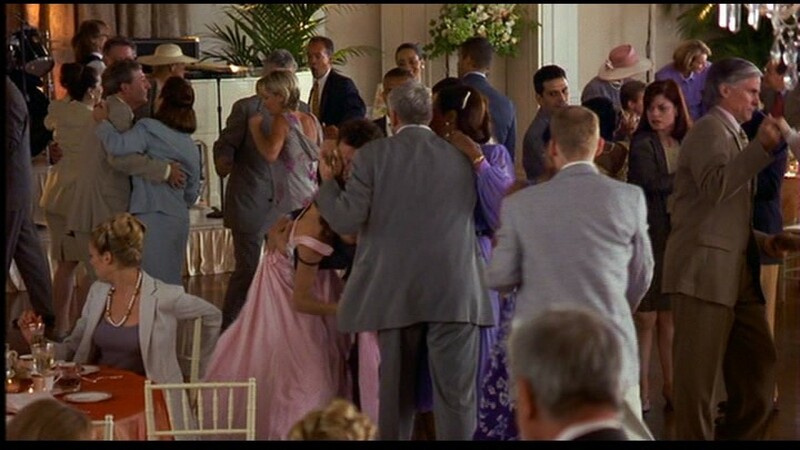 Gwen’s (Sandra Bullock) pink bridesmaid dress from Betty Thomas’ 2000 comedy drama 28 Days. Gwen is a newspaper columnist who drunkenly ruins her sister’s wedding and crashes a car, forcing her into drug and alcohol rehabilitation. 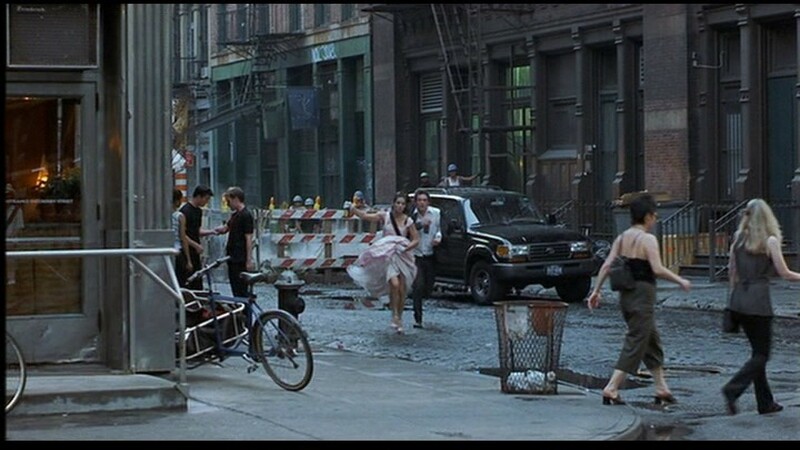 Inside she meets an eclectic group of people, all with their own problems. 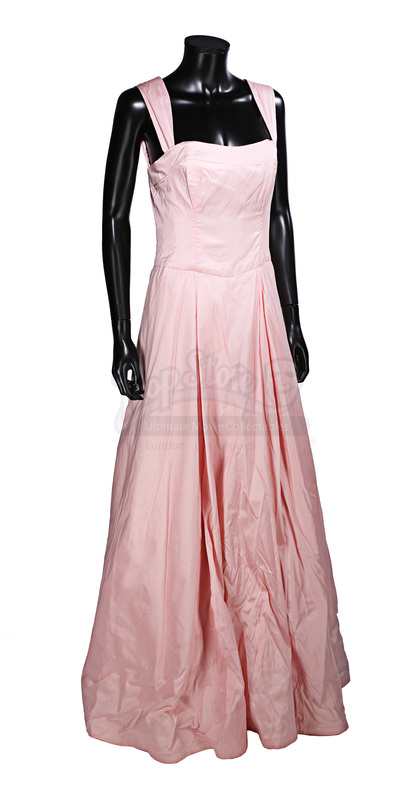 Dresses such as this one were made for the bridesmaids at the wedding near the beginning, with this one being made for Gwen. 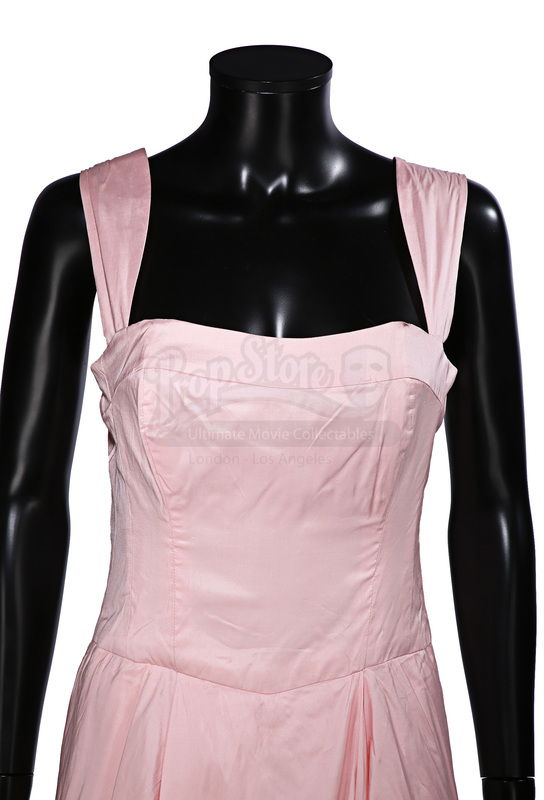 It is a pink faux-satin dress with a tulle and cotton petticoat underneath. 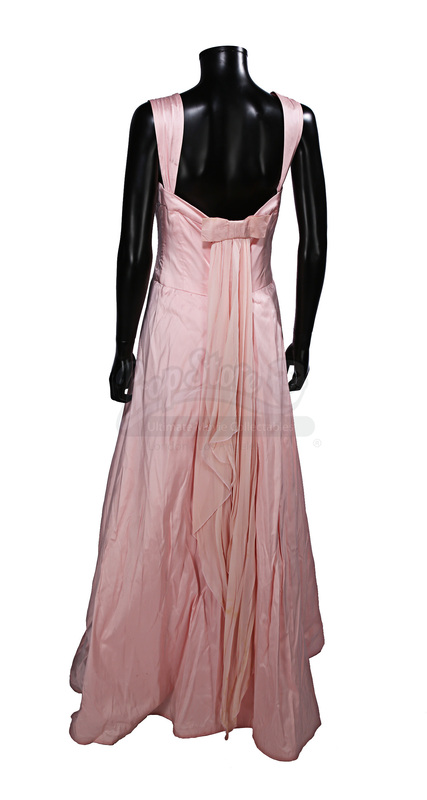 It has a detachable pink bow which attaches with poppers on the back. As it was specially made for Bullock it has no labels with sizes. The dress shows some wear from production use and age, including some plucking on the fabric and some minor staining. Despite this the dress remains in an excellent condition.